Two former champions will return to the BMW Frankfurt Marathon while the silver medallist of the World Championships’ Marathon from Daegu 2011 has also been confirmed for the race on October 27th. Gilbert Kirwa won Germany’s oldest city marathon in 2009. He established a course record of 2:06:14, which has been significantly lowered to 2:03:42 in the meantime. One of his toughest rivals will be fellow-Kenyan Vincent Kipruto, who won the silver medal on global stage two years ago and has a superb personal best of 2:05:13. Kirwa’s winning time from Frankfurt in 2009 still remains his personal best. A series of injuries hampered his development. But in 2012 the Kenyan, who hopes to reach times of 2:04 during his career, came back promisingly. Kirwa finished fourth in Vienna with 2:08:09 and then took third in the BMW Frankfurt Marathon with 2:07:35. The only two in front of him were world record holder Patrick Makau (Kenya) and Ethiopia’s Deressa Chimsa. This year Kirwa had a fine performance in the Tokyo Marathon. The 27 year-old ran 2:08:17 for sixth place in a very competitive field. When he now returns to the venue of his biggest success he will be eager to run much faster. 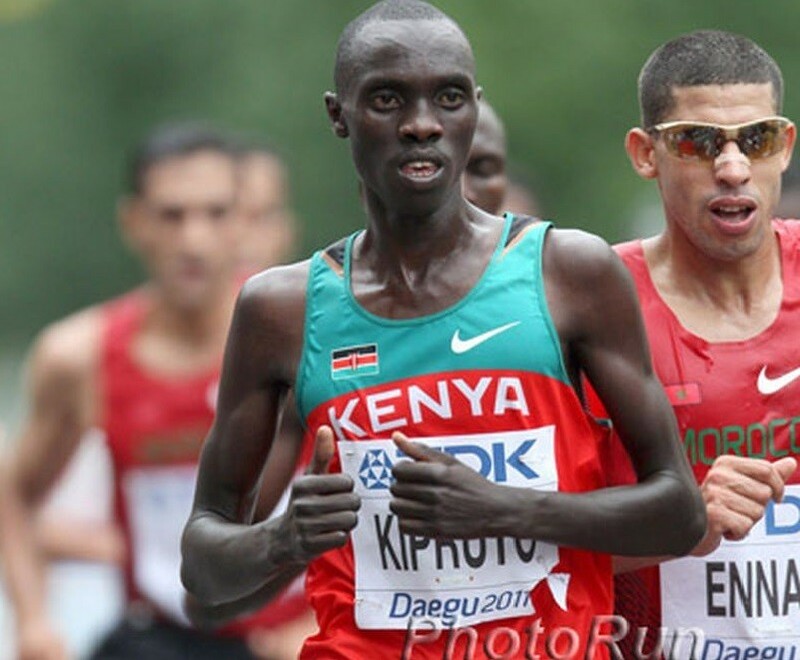 Vincent Kipruto has been among Kenya's strongest marathon runners for some years. From 2009 to 2011 he clocked sub 2:06 times on three occasions. First he won the Paris Marathon in 2009 with 2:05:47, then he improved to 2:05:13 for a third place in Rotterdam in 2010 and when returning to the Dutch race he was second with 2:05:33 in 2011. Two years ago he also represented Kenya for the first and only time so far, bringing home a marathon silver medal from the World Championships. The BMW Frankfurt Marathon will be his first race in Germany’s financial capital. With the course record of 2:03:42 just four seconds away from the world record, Kipruto knows that this could be a great opportunity for another very fast time. He has done well this spring, winning the Otsu Marathon in Japan with 2:08:34.
in 2011) and Austria’s record holder Günther Weidlinger (2:10:47 in 2009). The women’s race will feature a former winner and course record holder as well. Kenya’s Caroline Kilel took the race in 2010 with 2:23:25 and then went on to win the Boston Marathon in 2011.
triumphed half a year later with 2:22:36 (still her personal best). Returning to Frankfurt, Kilel will be among the favourites to take a second title. But competition at Germany’s number two marathon behind Berlin is expected to be tough. More elite runners will be announced at a later stage, and with bib numbers still available, organisers expect around 15,000 runners to take part in the 32nd edition of the BMW Frankfurt Marathon, which is an IAAF Gold Label Road Race.